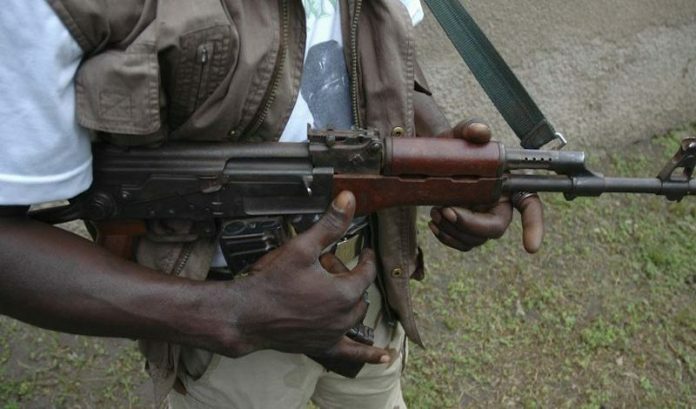 Barely one week after one soldier and six persons were killed in Abonnema, Akuku-Toru Local Government Area of Rivers State during the Presidential and National Assembly elections, two soldiers have again been killed at a military checkpoint along Obonoma-Abonnema Road in the same local government area. The violence that trailed the election in the area led to the suspension of election in the area. Residents also claim that more than 17 persons, mostly youths, have been killed in the community in reprisals by the military. THISDAY gathered that the two soldiers were killed Saturday night when two yet-to-be-identified gunmen in military camouflage attacked the checkpoint. It was gathered that the two gunmen, who rode a motorcycle, stormed the military checkpoint, popularly called “Samson Jack checkpoint” at about 8:00pm and opened fire on the soldiers. It was further gathered that while the two soldiers died instantly, several others were wounded as the hoodlums made away with two rifles of their victims. A source in Abonnema community, who pleaded for anonymity, also said that after the attack, the assailants escaped through the Obonoma Road. Reacting to the incident, the traditional ruler of Abonnema community, King Disrael Bobmanuel, condemned the killing, saying that the perpetrators were not from the community. Bobmanuel said: “We are shocked to hear this news. We condemn it very strongly in its entirety. We therefore condole with the General Officer Commanding (GOC), 6 Division. When THISDAY contacted the Deputy Director, Army Public Relations, 6 Division, Nigerian Army, Col. Aminu Iliyasu, for his reaction, he said the army would issue a statement soon. The statement was yet to be received as at the time of going to press. Meanwhile, residents on Abonnema and Obonoma communities have started fleeing their homes to Port Harcourt, the Rivers State capital and neighbouring communities following the killing of the two soldiers. A resident of Obonoma community, who would not wish to be named, said the people chose to leave the community to avoid being caught up when the Nigerian Army invades the communities in search of the killers of the two soldiers. There are also videos trending in the social media showing people fleeing the community, carrying few personal belongings. Last Saturday, women in Akuku-Toru local government area, led by the Rivers State Commissioner for Culture and Tourism, Mrs. Tonye Briggs-Oniyide, staged a peaceful protest at Abonnema, the council headquarters over the killings that trailed the just-concluded Presidential and National Assembly elections in the area. The women, all dressed in black attire marched through major streets of Abonnema to the Council secretariat and later the palace of the traditional ruler of the community, King Disrael Bobmanuel. Speaking at the palace of the traditional ruler, Briggs-Oniyide, lamented that more than 35 youths had been killed since election day. She appealed to the traditional ruler to help restore peace to the community, stressing that Abonnema used to be a peaceful place, and enjoined the king to caution the ruthless display of federal might by some members of the community. “We plead with you to talk to our sons who are today enjoying the federal might to used it for the betterment of their community. Some other persons have also held those positions; they used it to better their local government area. We are pleading: We expect them to use whatever they enjoy today to better our lives,” she said.